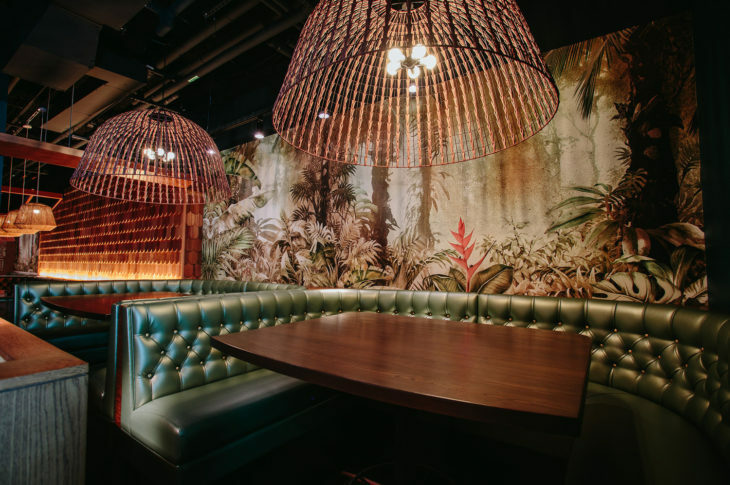 Its name makes a nod to the leisure time for Sailors, Shore Leave serves tropical cocktails that transport your from city life in Boston to a paradise. The space, music and staff, make every moment here feel like watching the sun go down with your feet in the sand. Nestled away from the busy streets in Boston’s South End, Shore Leave brings you along on an everyday vacation. 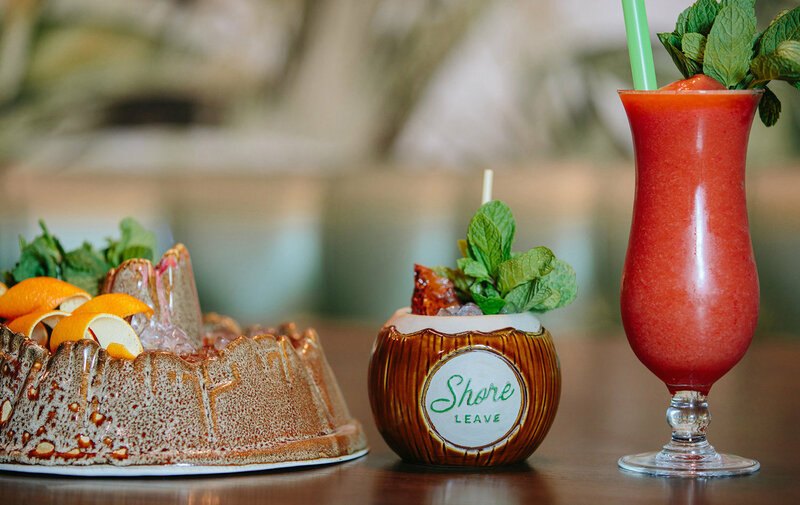 Try Shore Leave’s signature cocktails which excel at combining everyone’s favorite tropical flavors with ingredients traditionally connected to Boston’s culinary and beverage history. Like their namesake cocktail. Discover flavorful white rum from our friend Privateer in Ipswich, Massachusetts with rich Jamaican Rum from the Appleton Estate. Blended with passionfruit and lime for brightness, aromatic bitters for warm spice, and round everything out with molasses and a madeira. Do not miss out on the party sized drinks that Shore Leave affectionately refers to as large format and embodied the hashtag #TreatYoSelf. Your experience would not be complete without snacks, bar bites, both hot & cold. 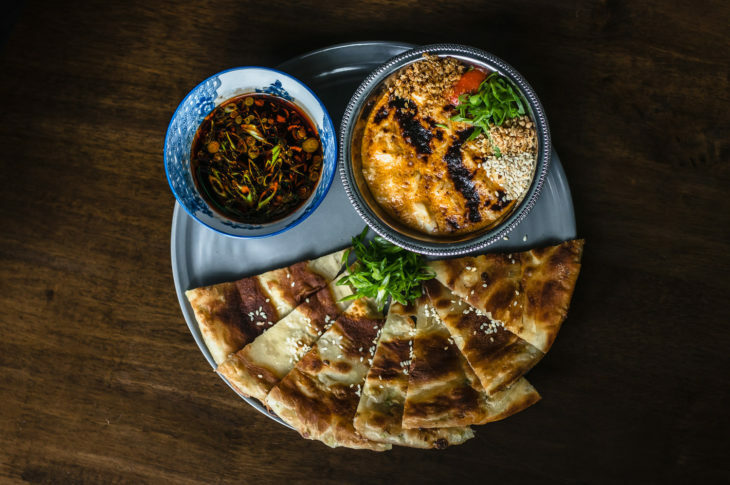 The scallion pancake with king crab dip will change your life as will any of the number of mouth watering dishes. Shore Leave also offers a late night menu for those who have a late craving.